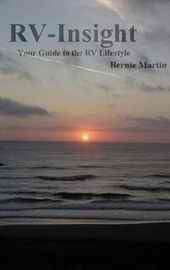 We're Bernie and Karen and we wanted to share with you how we got into Fulltime RV Living. It began "officially" in 2009, but our research started in 2008! So many people have asked how or why we “left it all” to drive all over the US in an RV? Some days we have to ask ourselves that same question. What were we thinking!?! Then we look out the RV’s huge windshield at some lake, mountain, stream, small town, desert, soaring eagle, or whatever is out our window at the time and the "why" is answered. We needed a break! The stress of working to work was getting to be too much. We had caught the bug about touring the country in an RV, so we started researching all the questions we could - mostly on the Internet and RV Trade Shows. We went to several of the largest RV Shows - Harrisburg, PA and Tampa, Florida and learned as much as possible from people and vendors. After about a year of research, we purchased our “home on wheels”, announced our intentions to friends and family (You’re what??) and literally drove away! Plus, we had sold the residence and actually had some money and a plan. As in all good plans, they must change! The price of diesel fuel kept/keeps rising, we like to travel and that spends money. Our About Us story will keep changing as well! Plus, we got into some pretty remote areas that didn’t have any merchants! Heck, who are we kidding - there weren’t any merchants for miles, in some cases!!! That's the "upside" to Boondocking! Yeah!!! How could we sustain our cost of RV’ing the country? What do we enjoy doing, what are our dreams and how could we turn that into a fun job - that we would actually enjoy doing and earn a living while on the road!? More important to us - what do we collectively know a lot about, can communicate that to others, and make a living? Why not write about our travels and everything to do with RV’s? Thus RV-Insight.com was born in 2010. We had been fulltiming only a year, but we felt obligated to sharing our ups and downs and good and bad experiences with our fellow RV'ers. Wow - that almost made sense!! Now, we can publish even more about us and our RV Living and all the various experiences we've had! We looked at all types of internet website hosting companies, blogs and even tried several - all to no avail. Seems they would have part of what we needed, but never all of it. We can write, but didn’t know enough about websites/hosting/blogs/etc. After several failures and lots of money spent trying to earn money, we found a site that seemed pretty sure about actually delivering all the tools and knowledge needed. Since we were tired of spending money with no results, we spent probably a month just researching everything we could about them. Wow - it looked like they could! Plus, they offered a 100% money back guarantee - now we're talking! 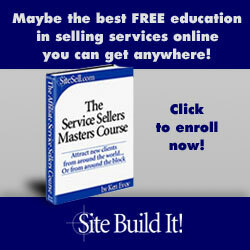 SBI provides the knowledge, steps to follow, training and tools we needed to build our website. Finally, we found a great internet source to share our knowledge with others. Years back, in 2008, when we were researching about the RV Lifestyle, the various websites were incomplete, at best. Once we picked RV’s as our website subject, SBI guided us with relevant keywords and provided all the tools necessary to start earning an income while driving down the highways - even better! Do you have a passion about something? Do you have 20 -30 years of “job experience” that could become “Your Website”? Why not help yourself earn more income for you, while you are enjoying life. Many of us got hit really hard with the stock market, real estate downturns - you name it - it wasn’t good. Odds are, you can probably write about “your subject”, better than most info on the internet. Just search your topic. Is it just blogs with no really good overall info, a small website with just a few pages? Or, is it a serious one, like we created here with SBI? Once your pages start generating viewers, they will click on an ad you have, a referral for someone’s product, an eBook - yours or someone else's, sell other items - it really won’t matter. People will be on your site and clicking through to buy something while you are sleeping or enjoying what you want to do when you quit your day job. That’s the goal, isn’t it!? If you're RV'ers like us, you are already traveling the US or know a great deal about a particular area - write about your best travel spots! Take a look here. All explained in just over a minute!! Are you thinking of supplementing your income? Would you like to enjoy life more and have free time? Wouldn't it be nice to have that "extra" cash in your pocket - without worrying about getting back to the office or job? If you’ve read this far, why not take a few minutes and at least look at what SBI could do for your peace of mind and financial well being! Besides, if you get carried away and actually decide you want to do this - they have a 100% Money Back Guarantee if you don’t think it’s you! That’s a Win-Win for everyone! 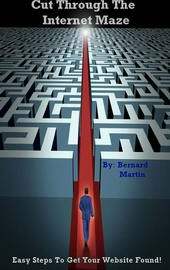 Here it is - give it a try - It's yours Free - Read it at your leisure. Right Click to Download (Save Link As) the Complete Course in PDF. Another great source for "expressing yourself" and earning an income is eBook Publishing. So far we've published 2 eBooks - about us and this website and how to get better Internet ranking. Now, we earn an income several ways! Our Internet company - Merchant Bottom Line provides us "real" income as we help small businesses grow their Internet presence. We help them with website development, Social Media Growth and an excellent eCommerce Software Platform, if they have products to sell across the Globe. The best part of this - we can literally work anywhere and our clients don't care! We just make sure our WiFi has 3 bars and we are good to work wherever we park! We've received two Awards as a Website Developer - 2014 and 2017 - all while travelling in our RV! Publishing eBooks and the Royalties has helped. We have published 4 books so far. The original and an updated version of RVing and 2 eBooks about websites and how they work - excellent passive revenue streams. Our Affiliate Marketing thru Amazon and Google AdSense are another great way to earn passive income while wandering aimlessly around the country. Our website - RV-Insight.com - has been a great source of this. Take a look at our Questionnaire page, as well - we value your input!